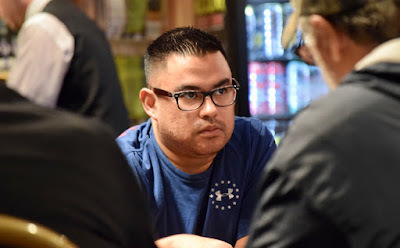 @WSOP Circuit Day 1C drew 254 entries and 39 players found a Day2Bag, with Victor Paredes (above, file photo) of @TurlockPoker bagging 181,000 as the top stack of the day in #TVWSOPCircuit Event 1's 3rd flight. Day 1D is taking place now, registration still open for 45 more minutes. Day 1E - the biggest flight of all - starts tomorrow at 11am with well more than 500 entries anticipated. Here's all 39 Day 2 Qualifiers from Day 1C. This group returns Sunday at 11am to play down to a winner, along with every Day2Bag from all 5 starting flights.